On the Tokyo Metro Hibiya line go to the Roppongi Station and depart exit 1c and you will see the Roppongi Hill’s Mori Tower (森タワー). On the 52nd floor they have an amazing observation deck. The deck is just over 750 feet above sea level and has a ceiling that is 33 feet high. It offers 360-degree views of Tokyo through its glass-fronted observation gallery. The floor features, among other things a café and a restaurant. 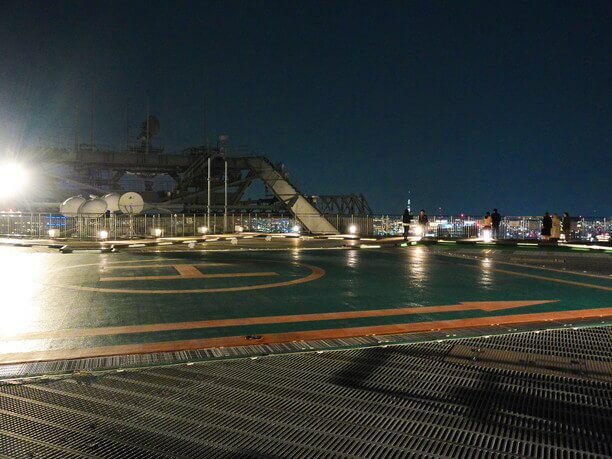 It also has a sky deck on the roof that provides an awesome Tokyo City view! To get to the Roppongi Hills observation deck you enter on the 2nd floor on the East side and go up to the 3rd floor and buy a ticket. You then take the elevator up to the 52nd floor. 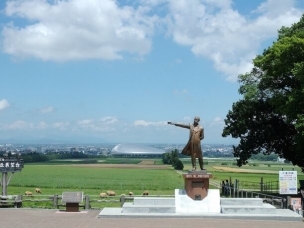 The usual price for admission to the Observatory is1800 yen (tax included). However, if you buy tickets in advance at a convenience store you will get a discount of 300 yen. Also, save your ticket stubs. 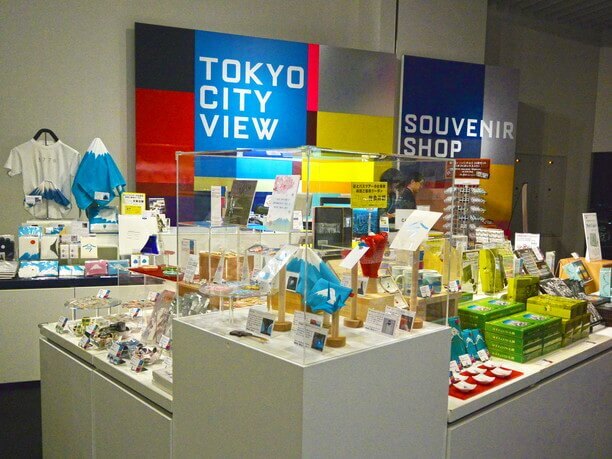 It is good for discounts at the Mori Art Museum and TOHO cinemas. Cafe restaurant is also recommended! On the same floor as the Roppongi Hills observation gallery is the Museum Café moon & Sun Restaurant. “THE SUN & THE MOON” are both decorated in the appropriate motif. The Museum café is decorated similarly to the Museum on the 53 floor. Both have walls of glass and offer amazing city views. 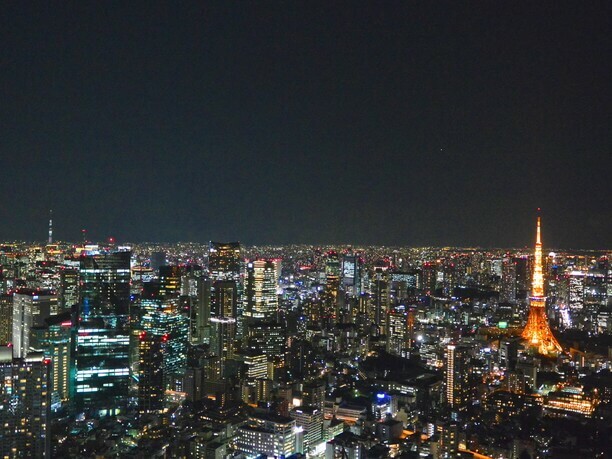 Watch the starry sky on the roof of the Roppongi Hills Observatory! 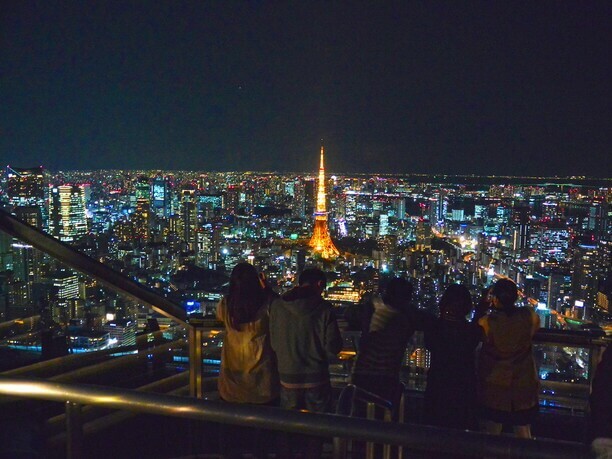 On the 4th Friday of every month Roppongi Hills Observatory deck sponsors the “Roppongi Astronomy Club.” It is a day set aside for observation of the constellations. 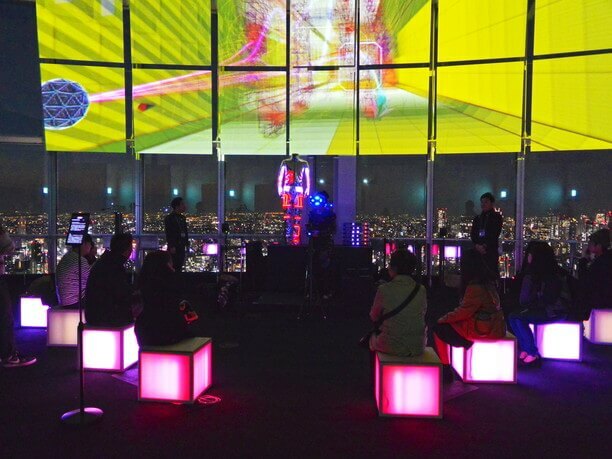 Participation is free, but you are still required to pay the admission up to the Skydeck Roppongi Hills Observatory and the 500 yen admission to the sky deck. There is a good chance you can see things such as Venus, and Saturn through the space telescopes that have been installed. There are also seasonal events, such viewings during the harvest and super Moon. 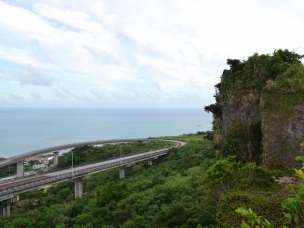 It has become a popular tourist spot in Tokyo. * Student charges, student ID please. 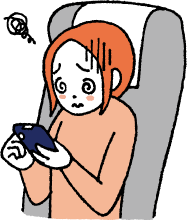 * A 500 yen deck fee is required (4-year-old to junior high school students, 300 yen). Open all year round. Bad weather closed the case. 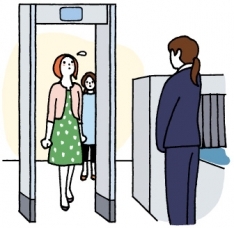 ・From the Tokyo Metro Hibiya line, Roppongi Station, exit 1 C it is about a 2-minute walk. By taxi it is approximately a 10-minute ride and costs approximately 660 to 730 yen. ・From the Toei Subway Ohedo Line, Roppongi Station, exit 3 it is about a 5-minute walk. By taxi it is approximately a 10-minute ride and costs approximately 660 to 730 yen. ・From Tokyo Metro Nanboku and Ohedo Lines, Azabu station it is about a 8-minute walk By taxi it is approximately a 10-minute ride and costs 660 to 730 yen. ・From the Tokyo Metro Chiyoda line, Nogizaka station it is about a 10-minute walk. By taxi it is approximately a 10-minute ride and costs approximately 660 to 730 yen. Tokyo Midtown is Roppongi’s ideal urban development! The symbol of Tokyo, “Tokyo Tower” is an amusement park in the sky!